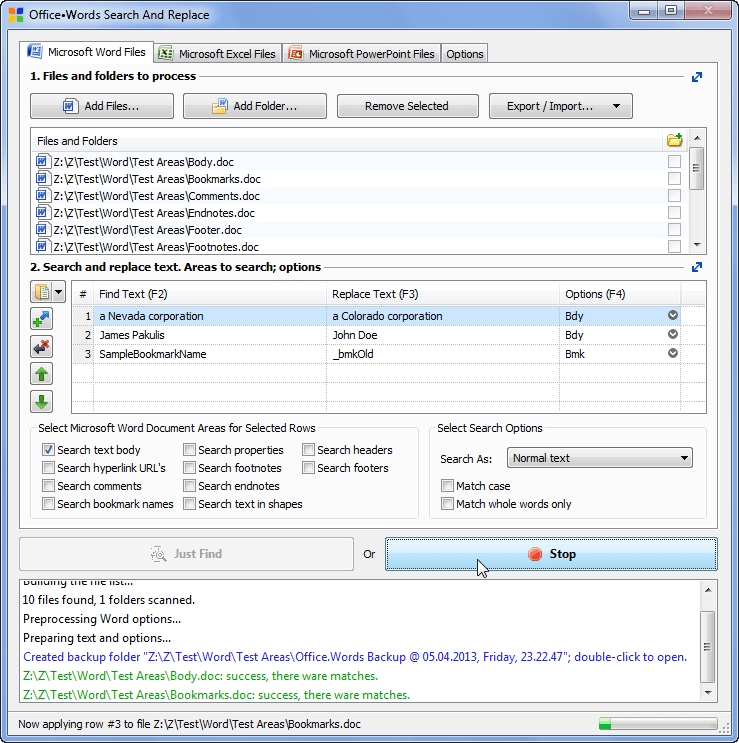 Search and replace in multiple Microsoft Word / Excel / PowerPoint documents at once. Bulk edit links, headers, headings and other text areas. Specify multiple search and replace pairs to apply to each file. Full Unicode support.